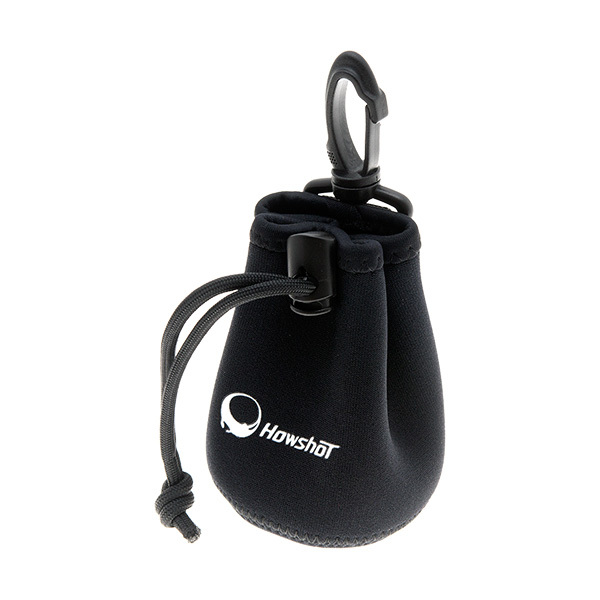 Howshot Carry Pouch S is small sized neoprene carry pouch and designed especially for close-up lenses. 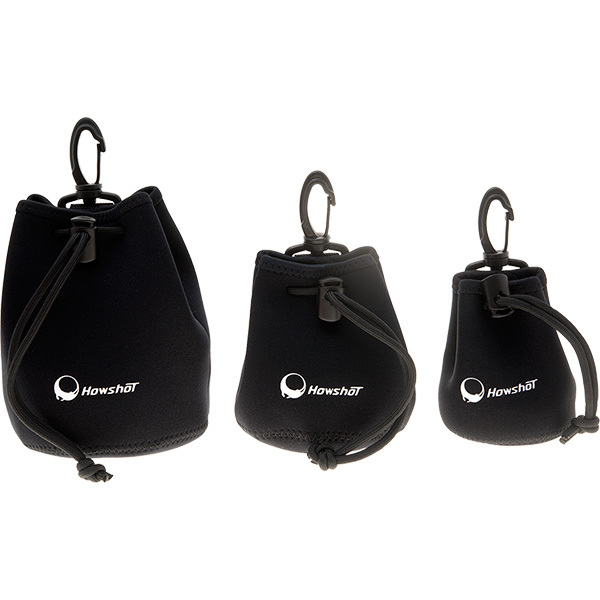 Howshot Carry Pouch S is made of neoprene used for wet suit and it's perfect for underwater usage. 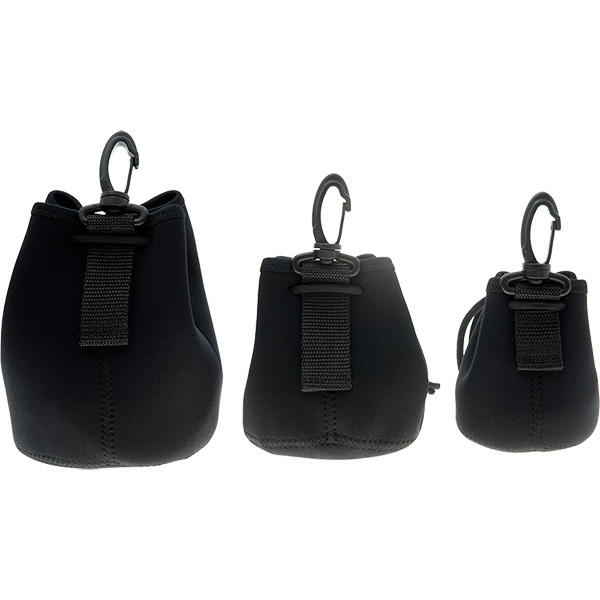 We recommend to keep the wet lenses in this carry pouch to protect any accidental damge. 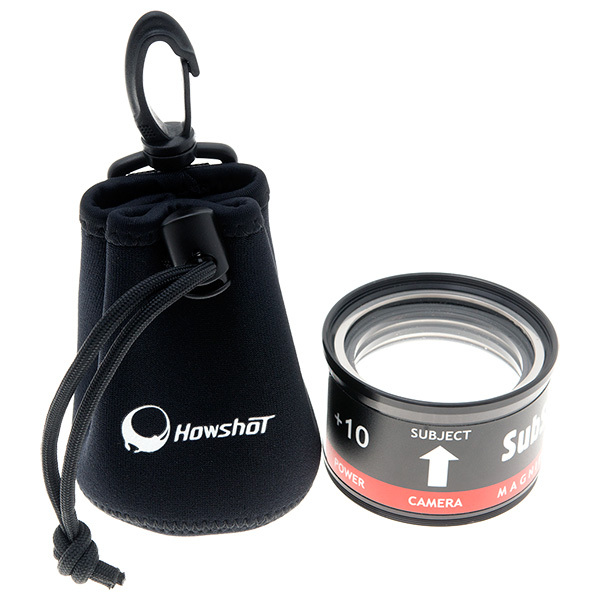 Take the lenses off from the pouch just before you need. Also, it's also the best protection for wet lenses when being transported. 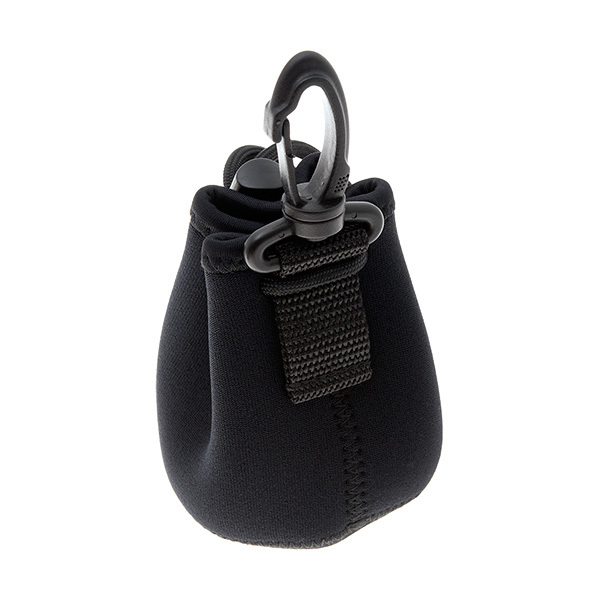 The hook is designed for being fastened easily and strongly with the D-rings on your BCD. 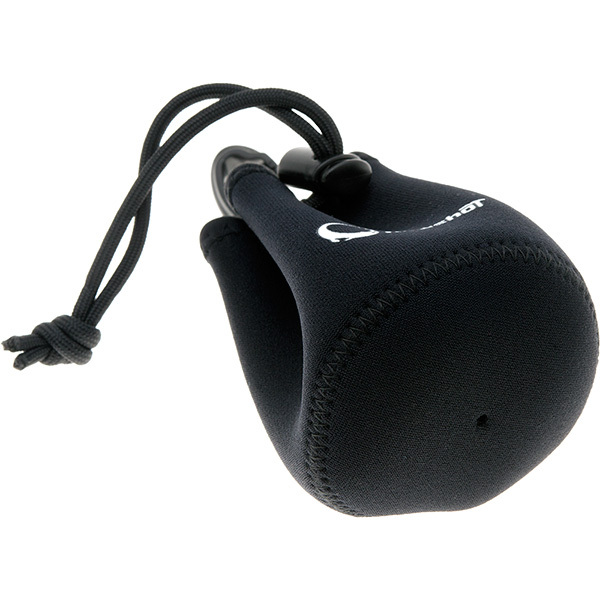 Never worry about losing it!